I’ll be shooting March 2019 through May 2019 for my new book and am looking for new people to appear in it. Book is planned for a Summer 2019 Release. I’m looking to continue blending traditional pinup concepts with the art of cosplay, creating quality art that showcases both my abilities as a portrait artist, and yours as a cosplayer. 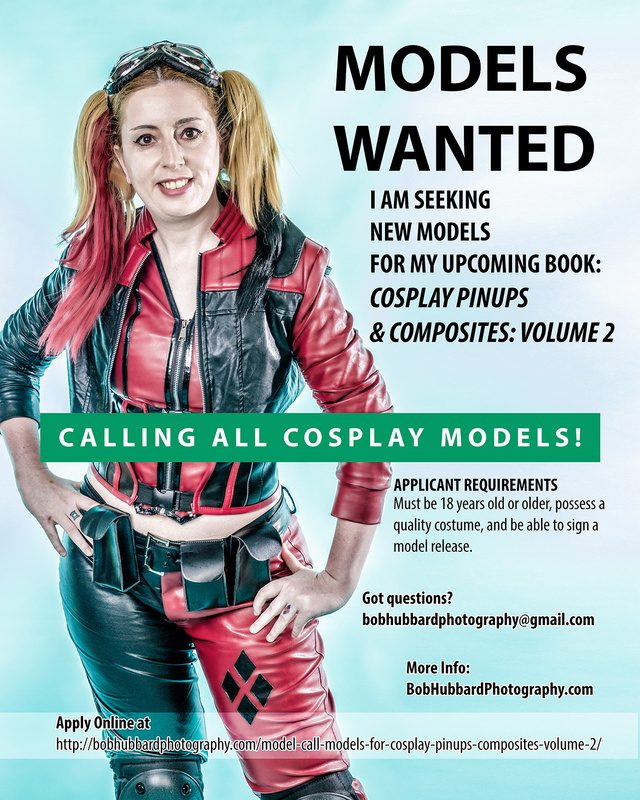 I’m looking for cosplayers 18 and over, who have quality cosplay to feature in this book. The goal is to work collaboratively to create tasteful pinups, digital artwork and composites. At a minimum, you’ll receive digital web copies of select images and some prints. City and State only please. Don't include street addresses or postal codes. Please list your active websites, social media pages, model profiles, etc. Weekday shoot times often open up. How flexible is your schedule to shoot? Please upload 3 to 5 photos of yourself. These should include 1 headshot, and 1 full length and 1 side shot in costume.